You may ask, “Are we in Jackson or Jackson Hole?” It may be both! 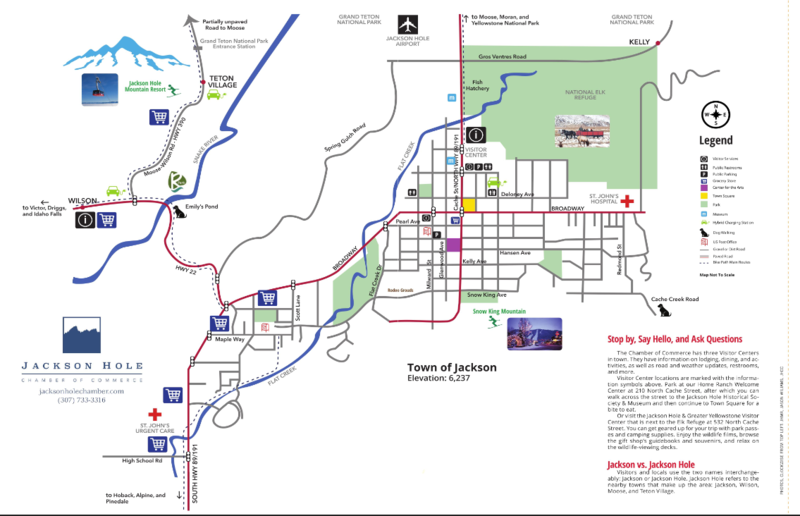 The Town of Jackson is located in the valley of Jackson Hole. In the early nineteenth century mountain men explored this part of the Oregon Territory after members of the Lewis and Clark Expedition skirted it. The term “hole” was used by these early mountain men who entered the valley primarily from the north and east. In doing so they had to descend steep slopes, giving them the sensation of entering a hole. Jackson pays homage to David E. Jackson, an early partner in the Rocky Mountain Fur Company, a pioneer in western exploration. Within Jackson Hole, Grand Teton National Park occupies the northwestern part of the valley encompassing the iconic, jagged peaks of the Teton Range. The Town of Jackson sits at the southern end. The Snake River threads through the entire valley from its headwater in Yellowstone National Park. These parks are part of the Greater Yellowstone Ecosystem, one of the last remaining large, nearly intact ecosystems in the northern temperate zone of the Earth. This makes the area home to some of the rarest wildlife, including moose, grizzly and black bear, pronghorn, bison, and elk. Jackson Hole is also a place where the modern spirit of adventure is strong. Grand Teton, the highest of the peaks, is 13,770 feet above sea level and inspires limit-pushing adventurers. While still inspired by the heritage of the Old West, residents now pursue careers in a broad range of industries. Jackson is a thriving cultural arts center with renowned restaurants, a playground for recreational opportunities, and home to sights that are barely imaginable. Welcome, or as the signs entering town read, “Yonder is Jackson Hole the last of the Old West.